“You can be the parent you’ve always wanted to be – the parent God wants and your kids need, the parent with a purpose. Your life at home with your kids can be calmer, clearer, healthier and happier today, starting right now.” – Dr. Jill Hubbard, New Life Live Radio. What makes Purposeful Parenting one of a kind is it defines the sweet spot where Biblical wisdom and cutting edge scientific research connect to form optimal child rearing practices. In addition, insights and case studies gleamed from fifty years as a teacher, counselor, and educational psychologist spell out solutions to common problems. Unconditional love – practice the “30 minutes” a day rule to assure your child feels loved and cherished. Discipline – process of teaching and guiding children to grow in self-control and character based on values rather than external forces. Purpose and passion – raising your children to find and follow God’s plan for their lives rather than yours. Character – you can model right from wrong and so can your children model right from wrong. Responsibility – What’s important is not what you do for your children, but what you teach them to do for themselves. Perseverance – help your child to stay the course. 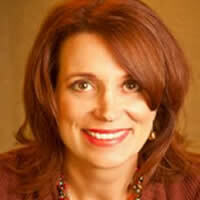 Video interview with Dr. Jill Hubbard to introduce Purposeful Parenting. I wish I had this book when my boys were growing up, I think every NEW PARENT SHOULD READ THIS BOOK! I think every parent agrees that parenting is hard work. We parents must be vigilant and intentional in parenting and training our child(ren). Based on Biblical principles and psychology, Purposeful Parenting presents six crucial ingredients for bringing out the best in our children: unconditional love, discipline, purpose & passion, character, responsibility, and perseverance. The book is packed with helpful advice, doable ideas, practical tools, and insightful tips. Each chapter includes “A Step Toward…” (concise tips for parents to put into practice) and “My Purposeful Parent Check-In” (a checklist to help parents examine how they are doing with their purposeful parenting). 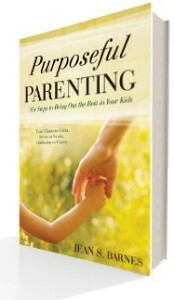 The author concludes the book with Parenting Takes a Team and My Prayer for Purpose. At the end of the book, you’ll also find Your Skills and Abilities Checklist. I enjoyed reading this encouraging book and learning quite a bit from it. It’s the kind of book that you would want to underline and reread because there’s so much great information in it. The author shows parents how to change the challenges into opportunities to guide and train their children. I highly recommend this fantastic parenting book to every parent, stepparent, and grandparent. I’m definitely keeping this book for my kids to read when they become parents :). I received a free copy of this book via The Book Club Network (bookfun.org) in exchange for my honest review. All opinions are my own. “Purposeful Parenting: Six Steps to Bring Out the Best in Your Kids” is a great parenting book. It is so full of good ideas, scripture, instructions, solutions, advice, stories and questions that people of any age should be able to gain something from reading it. 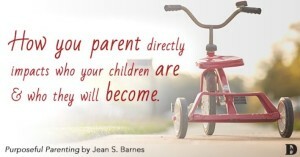 Jean S. Barnes, the author, has over fifty years of experience working with children and parents. She has taught in public schools and worked as a counselor. She has written a book that can help teach everyone how to be a parent. She recognizes that being a parent does not usually come naturally, but requires a lot of hard work and determination. “Purposeful Parenting” is broken into six chapters. They are very easy reading, and easily understood. The chapters cover loving unconditionally, discipline, pursuing passion, developing character, being responsible and perseverance. Each section is broken down into smaller, easy to digest sections. Barnes reminds us that all parents should be tapping into available resources for help. Teachers, schools and churches are usually available to provide teaching, training, insight and support. Also our family, but most importantly, God! When we allow God to be our greatest source of support we are doing something that is not only helpful for our children, but also for ourselves. I would recommend this book for parents everywhere, no matter the ages of their kids. The book is so full of wisdom, advice, and even some good common sense reminders, that it will benefit the reader. I received this book from The Book Club Network in exchange for my honest review. As a veteran educator, educational psychologist, and mother Jean S. Barnes understands children. In her book “Purposeful Parenting – Six Steps to Bring Out the Best in Your Kids” she combines her practical training with Biblical parenting principles to help her readers put passionate purpose into their parenting: to instill in their children a passion for: learning to love, develop self-discipline and character, accept responsibility, become competent, and persevere in difficult situations. Each of the six chapters in the book develops on of these principles. Chapter titles clearly define the content to be considered; each chapter begins with a thought provoking challenge, topical headings, Biblical principles, and practical pointers. Features within the chapters also include “A Step Toward…” and “My Purposeful Parenting Check-In” exercises with a unique emphasis and chapter summaries. Barnes sums up her conclusions in a closing section “Parenting Takes a Team” which clearly defines the working of parents, the school, and teaching and their interactive roles as a part of the team. She stresses the importance of developing friendships for social intelligence, the role of the church, and a reliance on God for instilling passion and purpose. CLICK ON THE BOOK FOR A PREVIEW!